Even a TV documentary couldn’t help. One of the more frustrating cold cases in Scotland’s long history has been deemed so “unsolvable,” that even a television documentary series that highlighted this case, didn’t generate enough new leads to break the case open. Nearly 15 years after the documentary aired, and more than 25 years since the act took place, the murder of 33-year-old Sandy Drummond is as mysterious as ever. 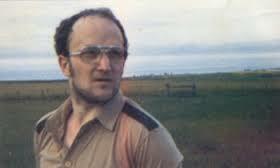 Drummond, a laborer, was found dead in June 1991, on a farm road just outside his cottage home in the village of Boorhills in Scotland, and investigators have reviewed the case several times over the years with no successful prosecution of a suspect. There was a claim made by an investigative reporter in the UK a few years ago that he had seen some investigative notes about the case and noted that the police did have a suspect in mind, but by the time they went to him to question and/or arrest him, the person was already dead – also murdered, it turned out. That event changed the direction of the investigation, in that the murder suggested that there may have been accomplices to the murder, or that this suspect was an accomplice of the actual murderer. Drummond was found strangled, oddly just a few days after he reportedly withdrew all his money from the bank and quit his job. There is no evidence of this being a robbery or mugging gone bad but the timeline was certainly curious. In 2003, a TV documentary series was created to highlight some of the most prominent unsolved cases in Scotland, and the Drummond case was one that had an entire episode of the series devoted to it. While some leads were generated from airing the details of the case, nothing concrete came of them, and it faded back into obscurity. The investigative reporter stated that in his research of the facts, the forensics seemed to indicate that Drummond was killed by some “ju-jitsu stranglehold,” claiming the the injuries suffered were consistent with some kind of martial-arts move. These usually do not use hands, which means forensic evidence like hand prints, fingerprints and dirt or blood under the nails would be reasonably ineffective according to the website. As we are writing about this being an unsolved mystery even 10 years after a review, probably tells you that the Sandy Drummond murder remains high on the list of the most mysterious unsolved crimes currently on the books, one of the bigger mysteries in recent history – now moving ahead of Al Capone’s vault. So maybe the Fife Police should finally send Geraldo Rivera a thank- you card. Too bad that won’t solve the mystery that is so mysterious, even massive public awareness didn’t solve it.